In a world of broken relationships, we want to share 5 precious stories of reconciliation. 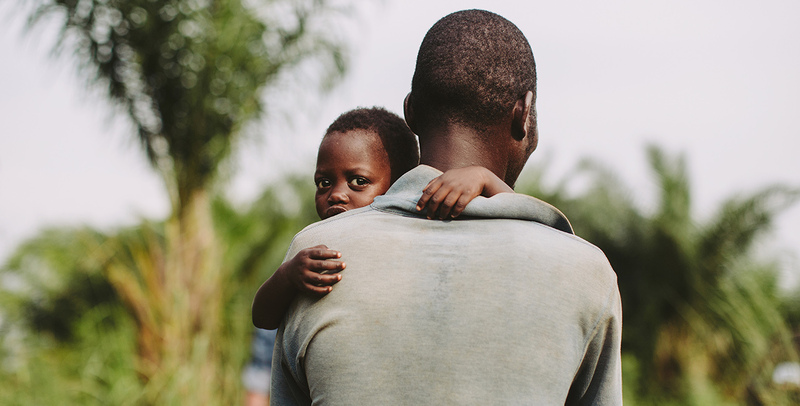 At Compassion, we know the Church is the hope for a hurting world. 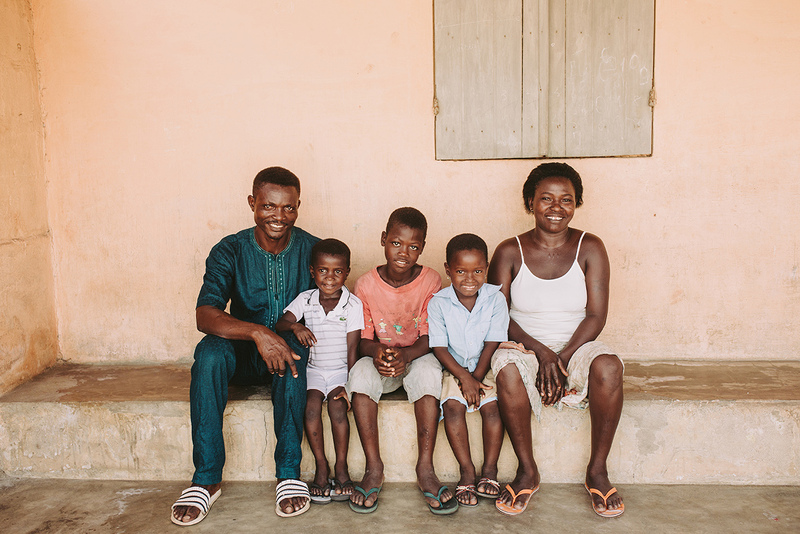 From Togo to the Philippines, these stories from our church-based projects speak of breakthrough where circumstances seemed impossible. They tell of families restored and reunited. 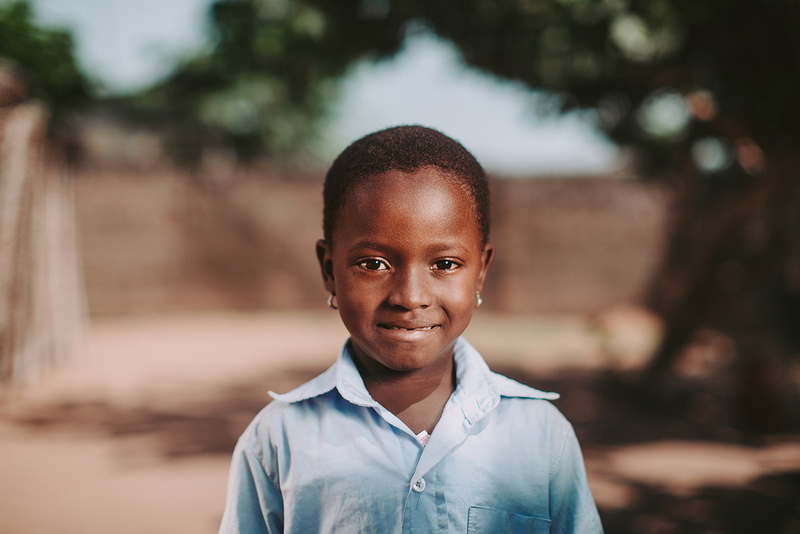 No matter what you’re facing today, let these 5 testimonies remind you that there is hope. 10 years ago, Joey was involved in the murder of a local security guard. Although he was convicted, Joey was released on long-term bail and it was then that he met his wife Ritchelle. In the midst of this instability, Hurley was registered at the local Compassion project and sponsored by a lady in the UK called Madeleine. Initially Hurley loved the project activities, but one day he just stopped coming. His project worker Caroline visited the family home to check Hurley was safe. She discovered that Ritchelle had fled her abusive husband, leaving 8-year-old Hurley to take care of his siblings. Every day he would carry his one-year-old brother outside into the yard and wait for their mum to return. Some days they’d still be waiting as the light faded. She never came. In Hurley’s world, there was only one place where he felt safe. So one morning, Hurley walked up to Joey and boldly told him they needed to go to church. Joey was sceptical, but Hurley was determined his dad needed help. He took him by the hand and led him all the way to the church building. Nicolas was terrified. He’d lost his job as a hairdresser. His attempts to start a motorbike taxi business had failed. He’d borrowed money from loan sharks across his community and now they wanted it back. Leaving behind his pregnant wife and two young children, Nicolas decided to run. “I didn’t know what happened to my husband. He just disappeared from the house one day. We looked for him but we didn’t know where he was,” remembers Chantal. 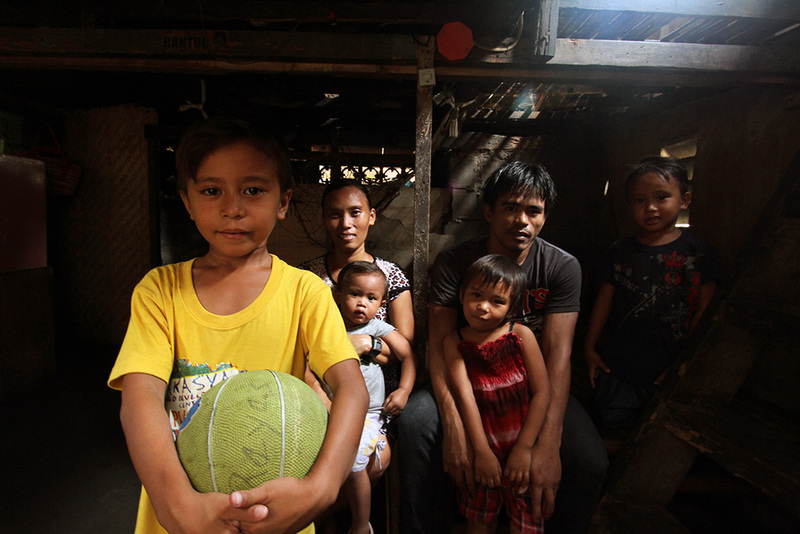 The mum of three then faced the daunting task of providing for the family’s needs alone. “I was completely disappointed and traumatised,” she explains. When Chantal was five months pregnant, she heard about Compassion’s Child Survival Programme. By the time registration day came, things were so desperate, she met with the project workers barefoot and in a threadbare shirt. 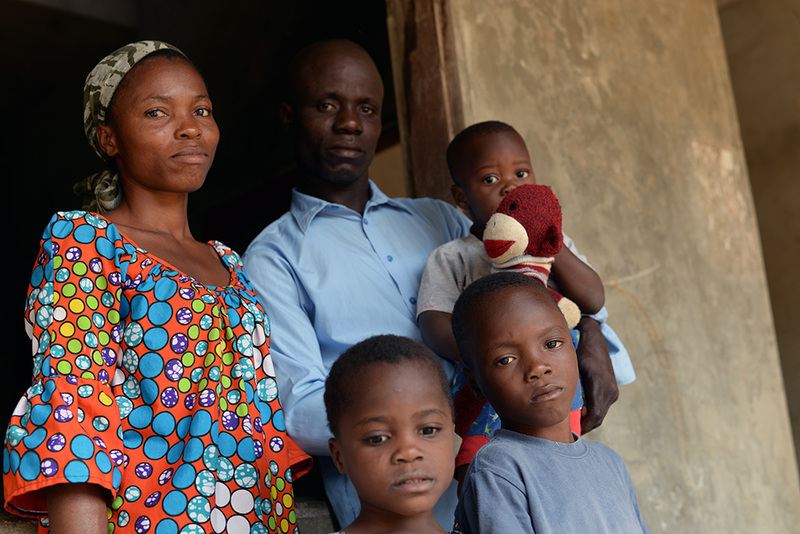 From the outset, Child Survival implementer Mawuse knew the family needed urgent support. In addition to regular meetings at the project, Mawuse and the church leaders started searching for Nicolas. They found out where he was staying and began to visit. Every day they prayed that God would touch his heart. It took three months’ worth of visits before Nicholas changed his mind. He felt ashamed and didn’t know how he could return. But the church staff worked sensitively alongside both him and Chantal, providing counselling and encouragement. Just days before Chantal gave birth, Nicolas came home. Vulnerable, confused and burdened by grief, Enoc was an easy target for the local gang. In the weeks after his father’s death, he was recruited into a world of drugs and violent crime. “I felt like nobody understood my pain, and I started to consume drugs secretly as they made me feel better,” Enoc explains hesitantly. He dropped out of school and ran away from the family home. Thankfully as a sponsored child, there was a team of project staff from the local church willing to go to extraordinary lengths to protect Enoc. 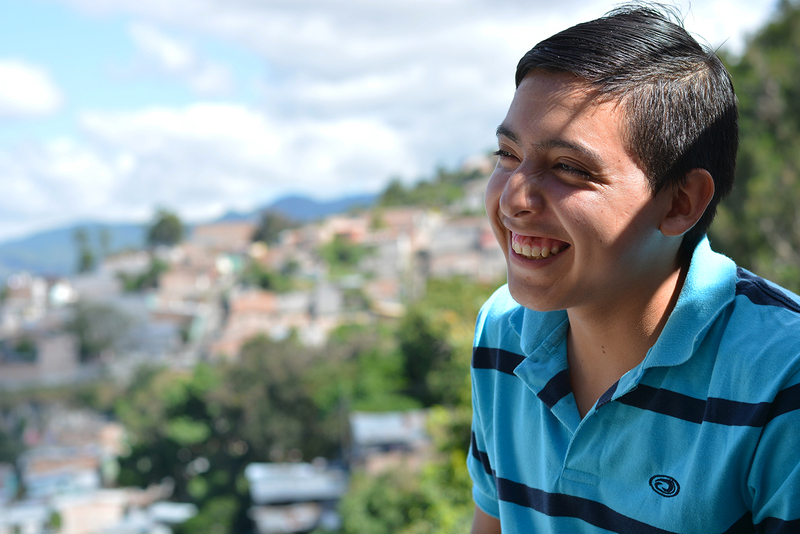 In Enoc’s community in Tegucigalpa, Honduras, gang membership is for life. Death is the only way out. But that didn’t stop Anilda and her team. Anilda can only attribute what happened next to a miracle: Enoc was freed from the gang. Now Enoch has returned to school and is planning to join the army, just like his father. He's a great example of overcoming difficult situations," concludes Anilda with pride. The first indication something was wrong was when 5-year-old Akloblessi didn’t turn up to her Compassion project. Staff were shocked when they discovered that this precious little girl had been kidnapped by the temple priestess from the local voodoo shrine. Fernand, Akloblessi’s project director, took immediate action. “When I heard the priestess commanded that the child should be brought to her temple, I got infuriated and frustrated,” he says. “I rushed to the father’s house.” Fernand mobilised the Christian church community, co-ordinating 11 Compassion church partners to pray and fast for Akloblessi’s freedom. He began lobbying government social workers to intervene. He even reached out to the priestess personally to convince her to release the little girl. Every day, along with his team, he lifted Akloblessi up in prayer. 11 months after she was taken, Fernand’s prayers were answered. At last, the priestess agreed to give Akloblessi her freedom. She was able to return home. 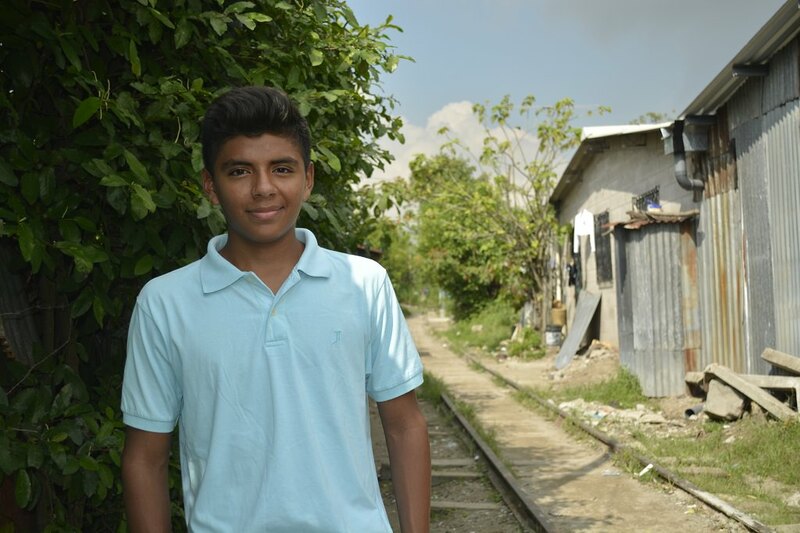 Francisco lives with his parents and 3-year-old brother in a metal-sheet house near a disused railway line in Sierra Morena, El Salvador. When the trains stopped running, families moved in and began to build houses just 6 feet away from the train tracks. Sierra Morena used to be known as a friendly place, but now the area is controlled by rival gangs, eager to recruit young men. “I told Francisco that there are two paths, the good one and the bad one,” explains Juan Villalobos, Francisco’s dad. He was increasingly concerned about his son who was spending more and more time on the streets. For Francisco, the workshop rescued him from the streets. “Just like my dad said, there are two roads each person can take: the good one and the bad one. I chose to stay in the [Compassion] project, because I realised that I was wasting a big opportunity. I like to be there, and I feel much better being there, because I learn more about God. I’m not lost anymore."